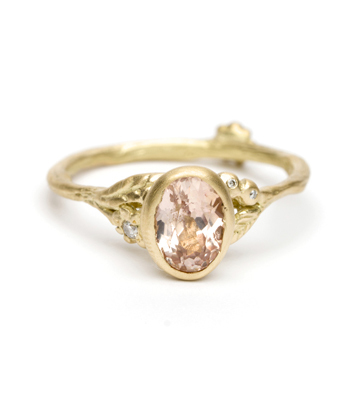 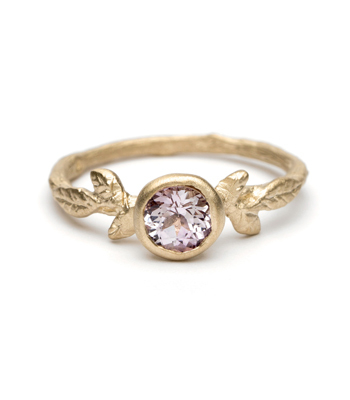 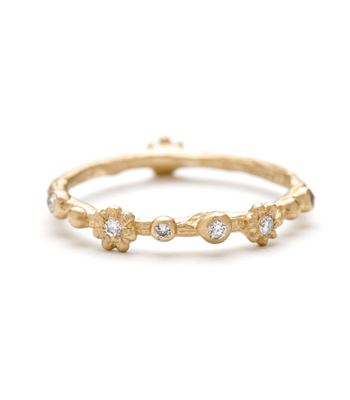 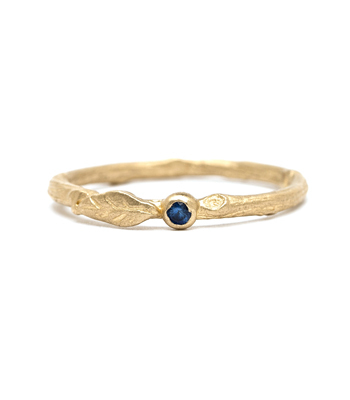 Textured 14K gold twig stacking ring with three daisies, accented with diamonds (0.03 ctw). 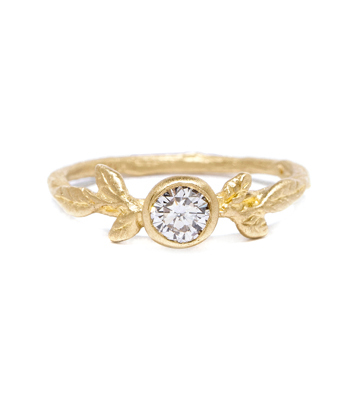 Flowers are asymmetrically spaced so that at least one is always facing the top. 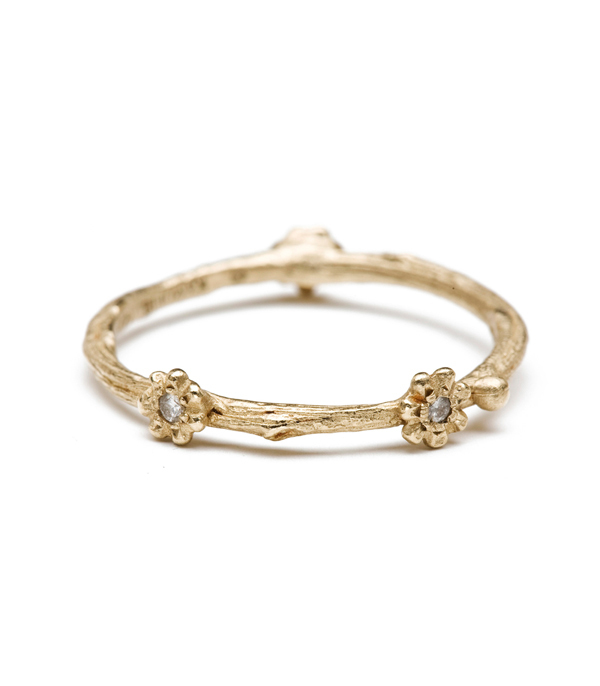 This piece could be the perfect wedding band for a natural beauty bride who prefers simple and minimal jewelry! 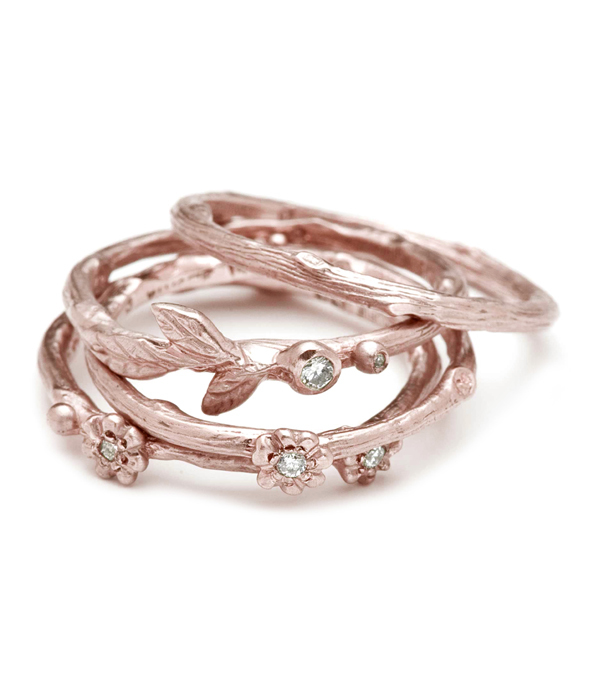 It is merely gorgeous when paired with multiple styles from our Earth and Sky Collection to create a unique stack. An adorable gift for any girl who loves nature inspired jewelry. Categories: Earth and Sky, Rings, Stacking Bands, Stacking Rings, Women's Wedding Bands.